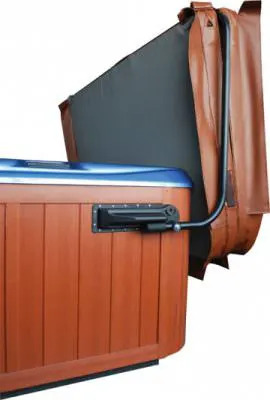 The CoverMate 1 hot tub cover lifter is one of the top hot tub cover lifters in the industry for its quality and function. You will be the envy of the neighbors with the amazing CoverMate 1. The CoverMate 1 is a bestselling hot tub cover lifter. All The Cover Guy products are brought to you with quality, safety, and value in mind as part of our commitment to customer satisfaction. Don’t forget to check out our other hot tub and spa products! As a one-stop-shop for your hot tub, we have everything you need including, covers, filters, lifters, chemicals and accessories! We have you covered.